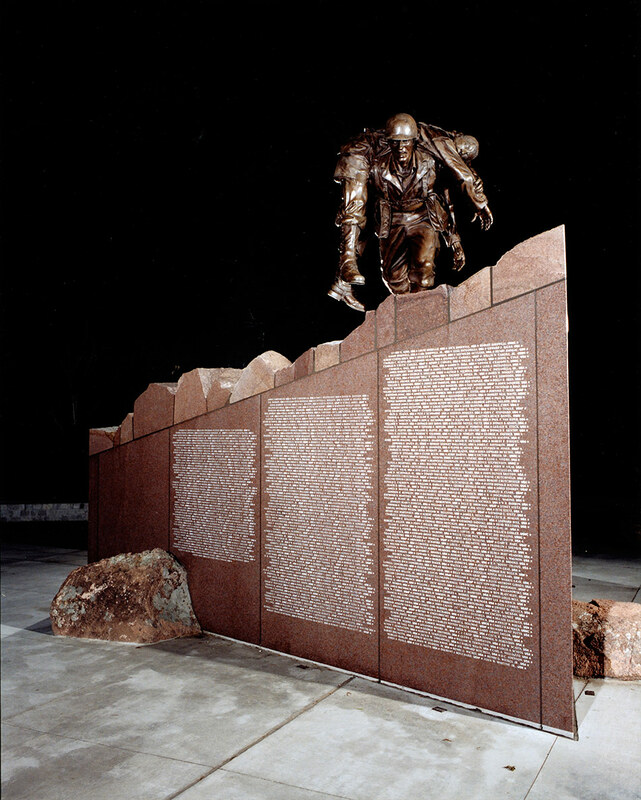 The Brazos Valley Veterans' Memorial is a bronze sculpture mounted upon a Texas granite base. 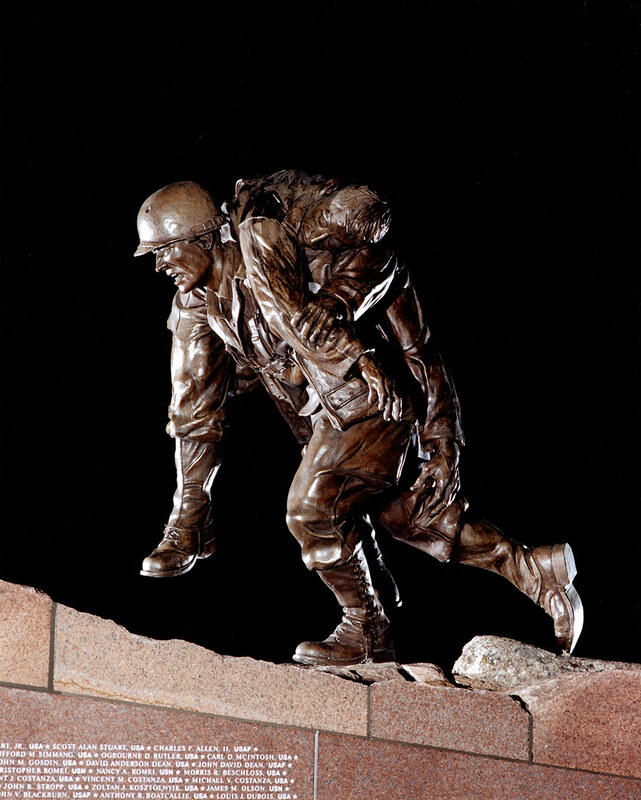 The memorial honors veterans who have served in the uniformed services of the United States. 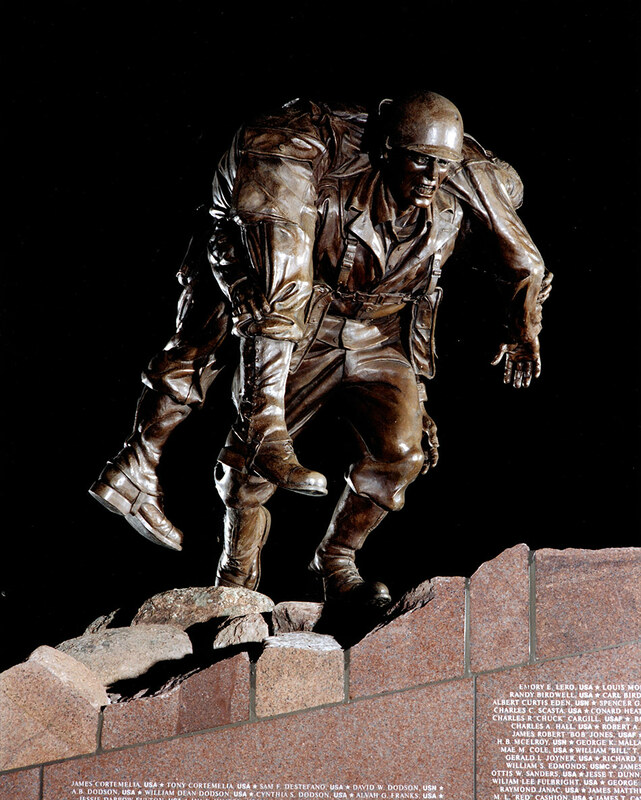 Its purpose is to ensure that the generations that follow us will for-ever recall with pride our veterans’ sacrifice on behalf of the United States of America. 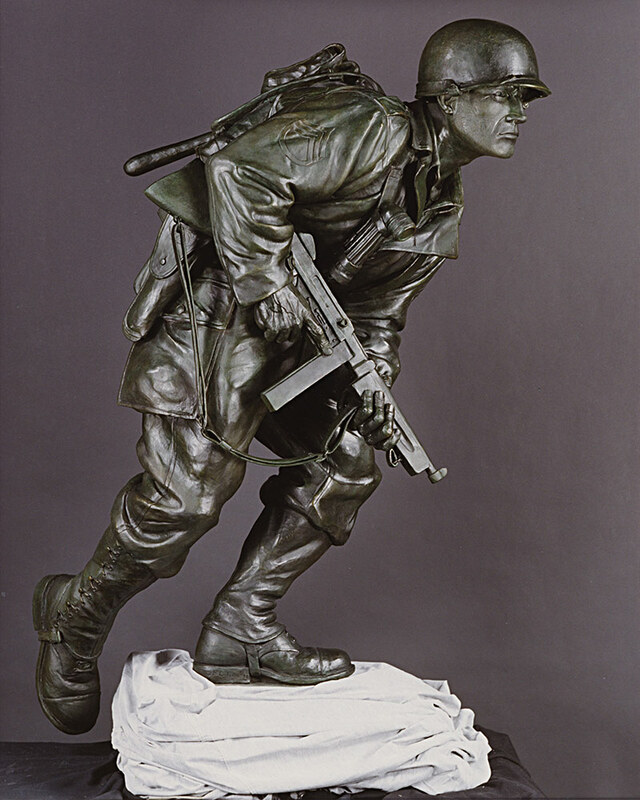 Based on the Col. Waterhouse painting "BAR on the Beach", this sculpture depicts the heroism and true "grit" of the American infantryman. 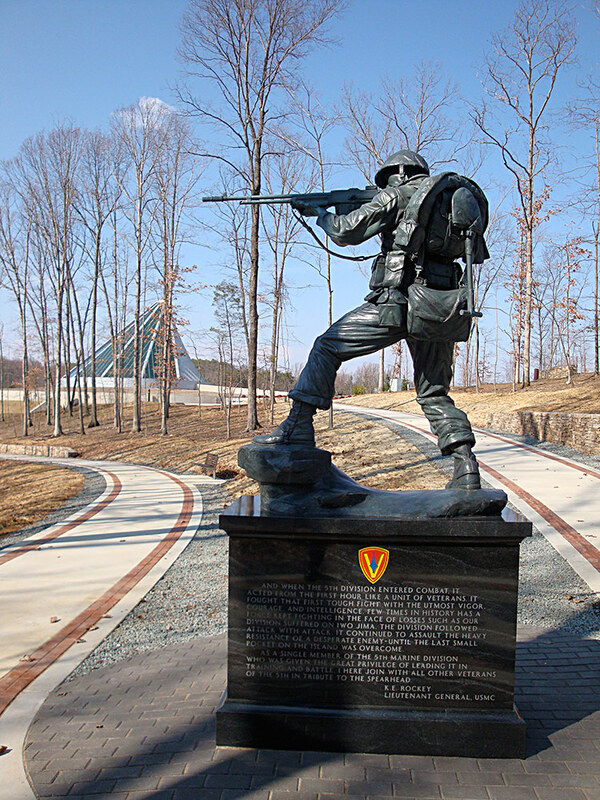 The memorial honors the brave Marines of the 5th Marine Division who fought, died and defeated the Japanese during WWII. 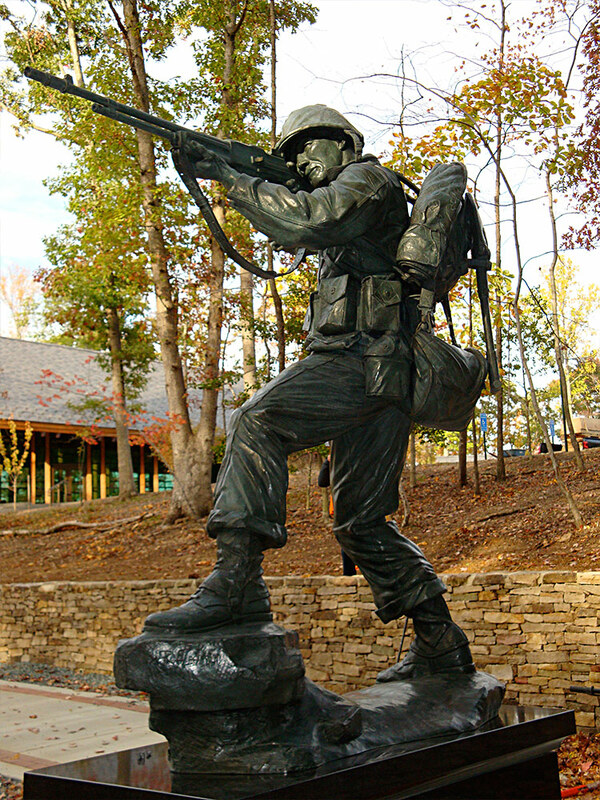 This sculpture serves as the focal point for the 5th Marine Division Memorial lo-cated at the National Museum of the Marine Corps. 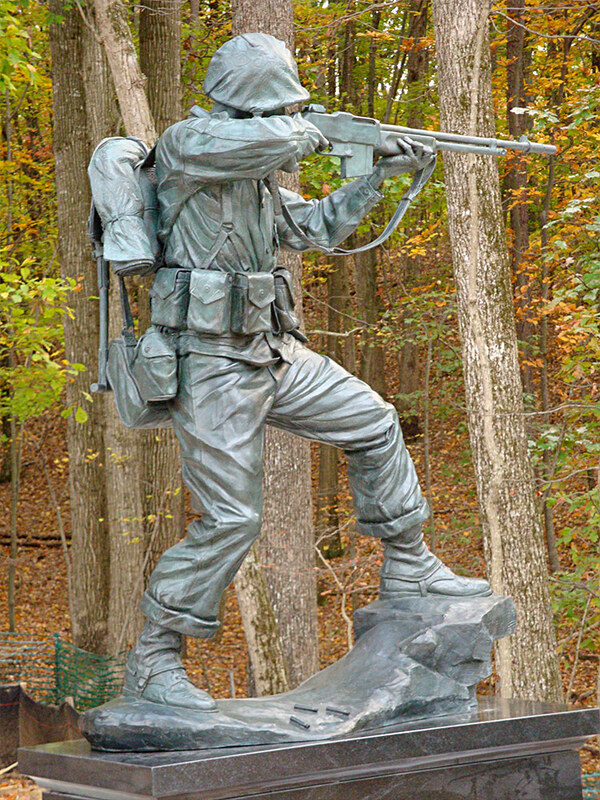 This memorial honors the men and women from Bolton Landing, NY from the French and Indian War to the present day. 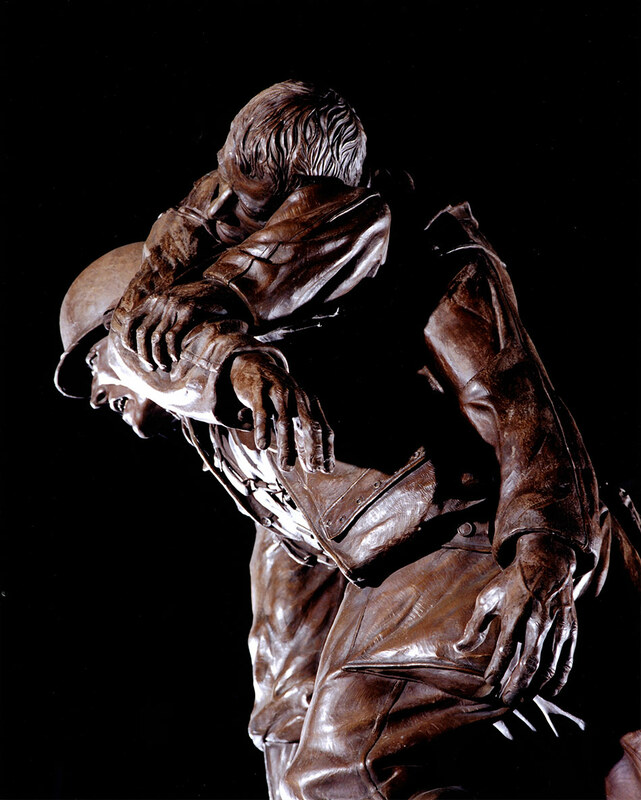 Whether he is patrolling the hedgerows of Normandy, the jungles of the South Pacific, this scene is a far to familiar to many veterans. Walking as stealthily as he can, this infantryman is on a reconnaissance mission and keeps a low profile. 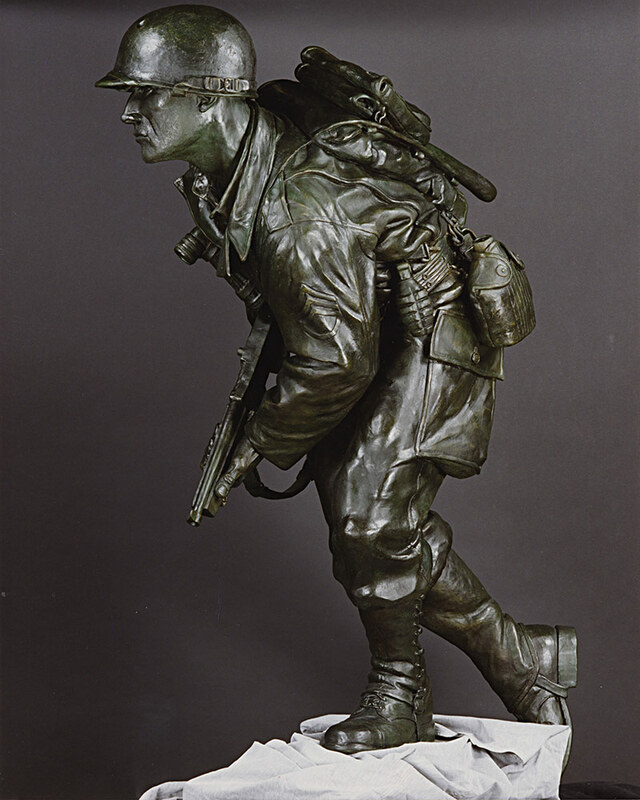 Placing one foot carefully in front of the other, the seasoned NCO scouts experience tells him to stay alert. As the scout steps on to a stone, he hears something off to his right. He freezes for a moment and shifts only his eyes. 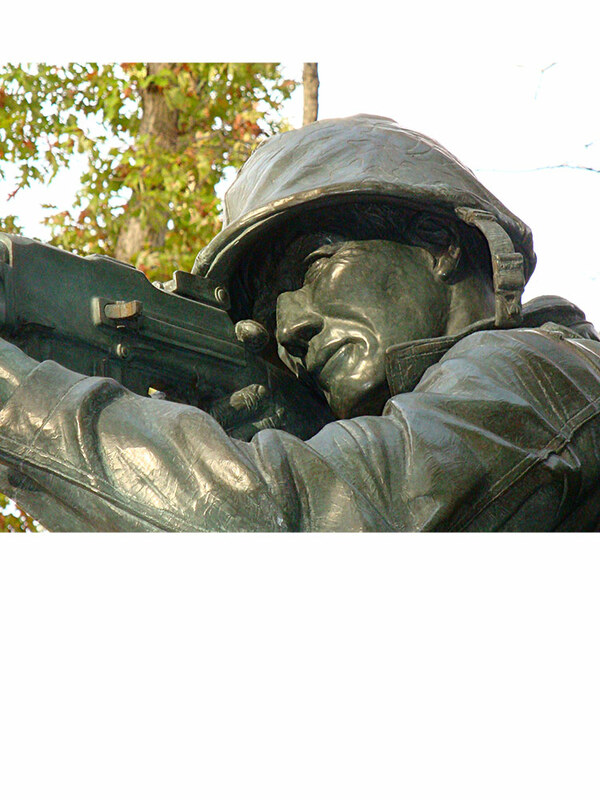 He knows his mission is not to engage the enemy, but his instinct tells him, if need be he will. 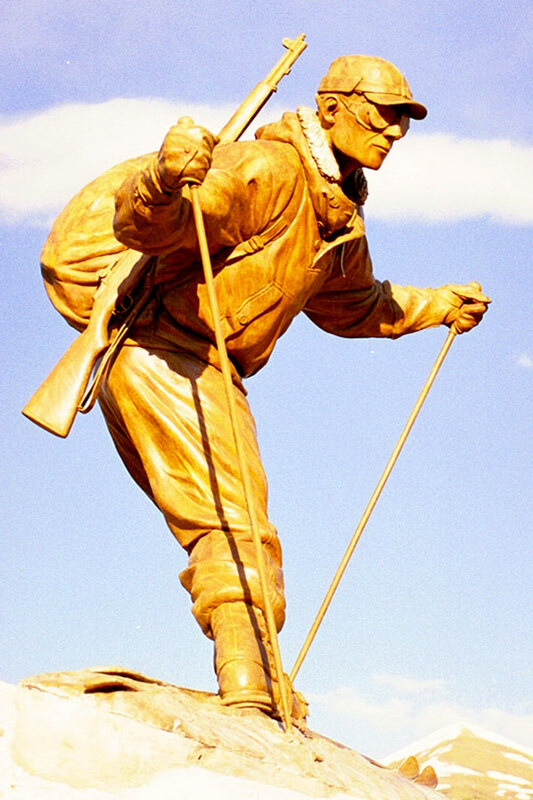 Soldier of the Summit depicts one of the 10th’s first ski patrolling missions during WWII, a ski trooper high atop ridge line scouting enemy positions behind enemy lines. 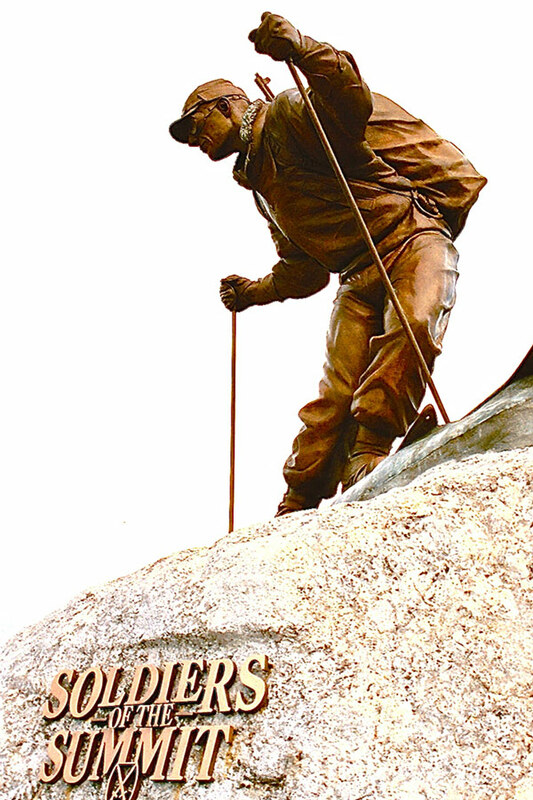 This monument is dedicated to the brave mountaineers who fought and died spear-heading the allied drive to push the German Army out of Italy during World War II. 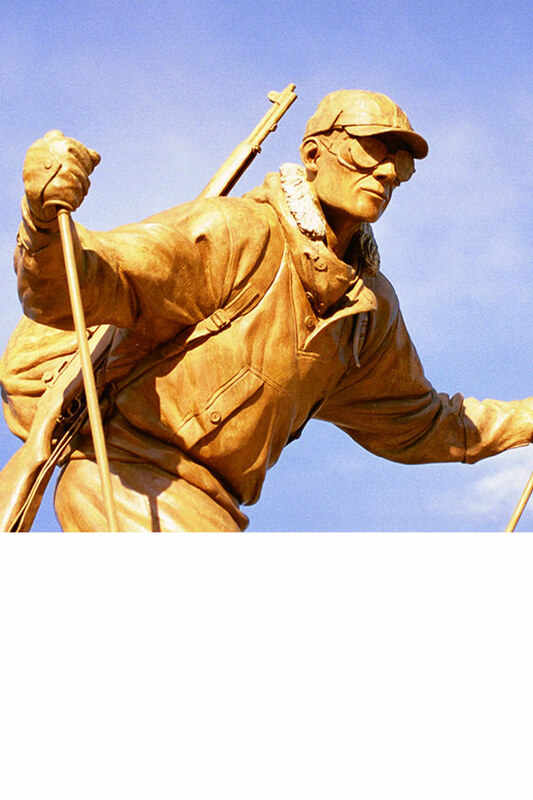 This monument also pays tribute to the veterans of America’s “ski troops” who in their peace-time role became leaders in business, sports, and the ski industry in America.